The No. 28/2 is Odeon’s smallest three way system. After years of development and testing, it became possible to transform the original iconic design of the No. 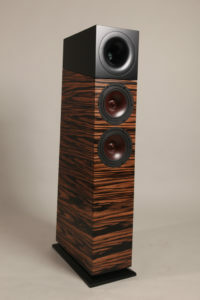 32 into a living-room-friendly floorstanding speaker. 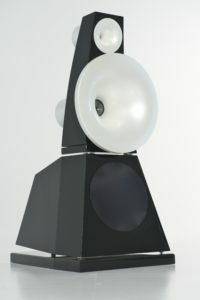 Despite its smaller horn dimension, this loudspeaker is able to reproduce any kind of music with great ease. A special feature of the Odeon horn systems is their ability to produce dynamics at any volume. The high degree of transparency draws the listener into the music. The No. 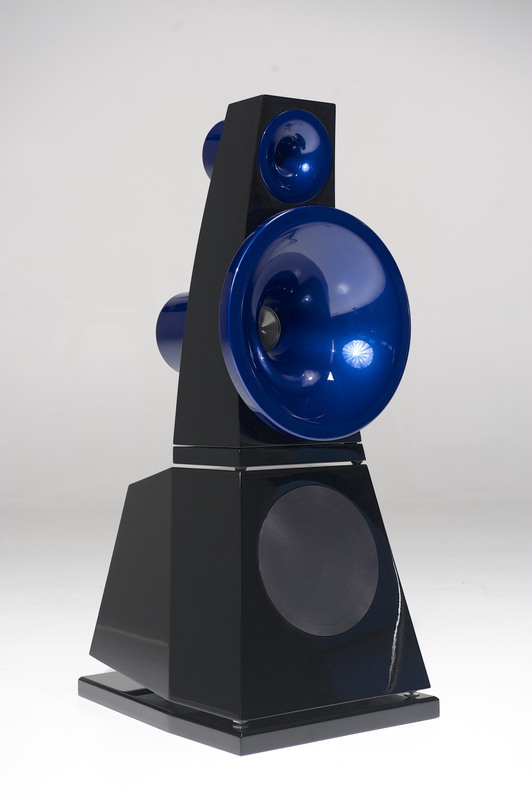 28/2 is a 8 Ω high efficiency loudspeaker, that can be easily combined with any tube or transistor amplifier. Like all Odeon products, the No. 28/2 is manufactured by hand in Germany by the best craftsmen and comes with a five year warranty. The Fidelio is Odeon’s entrance into the world of High End. By distilling 25 years of engineering expertise, Mr. Gersdorff has developed a budget loudspeaker in a class of its own. 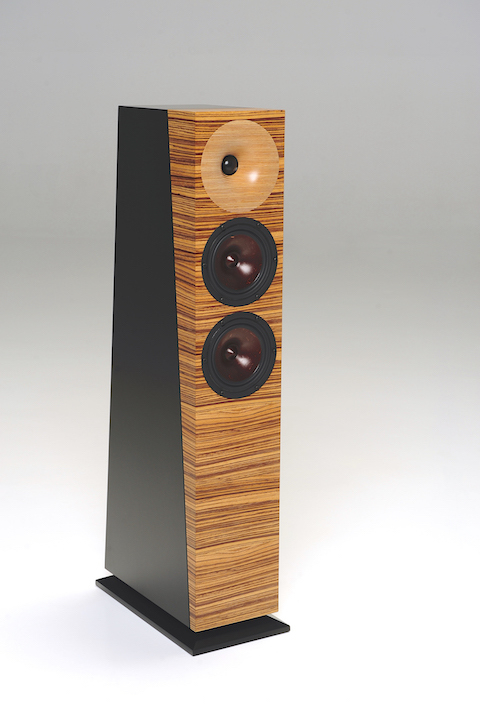 The Fidelio is a classic two-way-system with advanced technology. 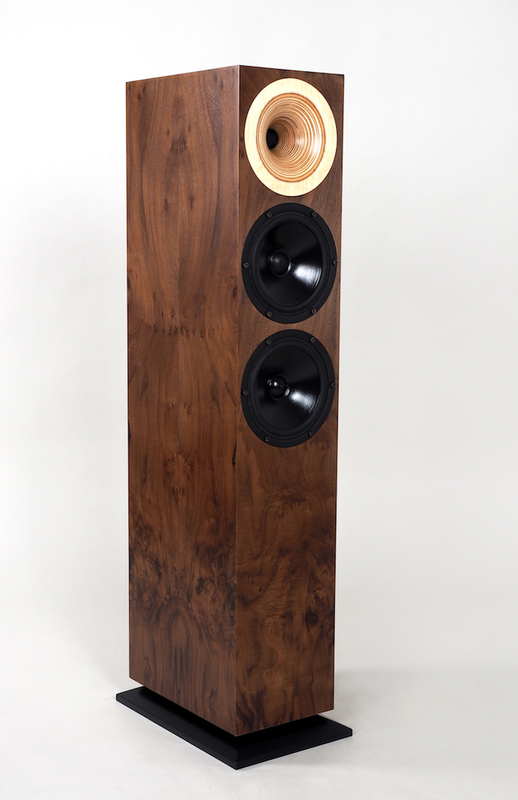 The drivers are of the best quality: For a very high resolution the 25 mm Audax silk dome tweeters are mounted into 17cm massive wooden spherical horns. The 18 cm Scan Speak high-efficiency mid/bass drivers are able to reproduce finest details, but also attack and punch. The Fidelio offers audiophile, lifelike music reproduction for a small budget. Like all Odeon products the Fidelio is manufactured by hand in Germany by the best craftsmen and comes with a five year warranty. The Odeon Midas is a new high efficiency (95 dB) two-way-system that offers audiophile music reproduction by using advanced technology. 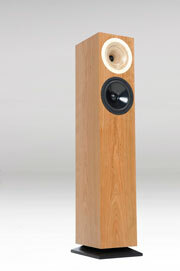 For highest resolution, the 25mm Audax silk dome tweeters are mounted into 17cm wooden spherical horns. Each speaker has two 18 cm Scan Speak high-efficiency mid/bass drivers with ultra light weight cones for improved dynamics and to reproduce even more details. 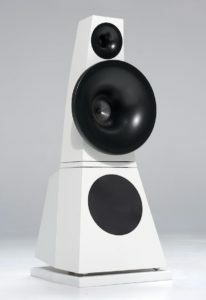 Due to the perfect match of all drivers this loudspeaker works resistor free. This enables the the silk dome tweeters to work even faster and more precise then ever before. The Midas offers a very homogeneous soundstage and a lifelike music reproduction that sets new standards in its price range. Like all Odeon products, the Midas is manufactured by hand in Germany by the best craftsmen and comes with a five year warranty. The Otello is Odeon newest and biggest two-way system. All components match Odeons highest quality standards. To minimize resonance, the modular two-piece Cabinet is made out of plywood. The new double-downfire bass technology, in combination with the 18cm Scan Speak low mass wood fiber mid/bass drivers creates a particularly fast and deep bass. To ensure the highest resolution, the Otello uses the 1 inch compression driver known from the Odeon No. 32/2. The Otello combines the homogeneous soundstage, only known from the best two-way speakers, with the reproduction of finest details by using the best drivers in combination with special spherical horns. The Otello makes listening to music a very special and emotional experience. Like all Odeon products, the Otello is manufactured by hand in Germany by the best craftsmen and comes with a five year warranty.